COMP Cams High Energy Rocker Stud Stud Diameter: 3/8"
Comp Cams takes pride in having the finest rocker arm studs available on the market. The High Energy and Magnum series studs work well in applications with moderate lifts and spring pressures and are available in the popular 3/8" and 7/16" sizes. When ultimate strength is required as with high rpm roller cam applications, the Hi-Tech Race Stud is the answer. 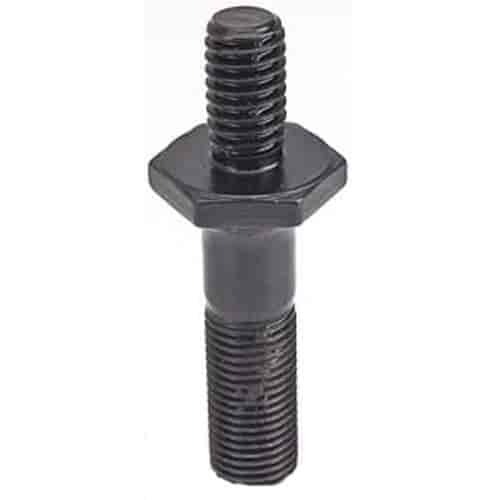 This stud has a thin jam nut for rocker clearance, rolled threads for maximum contact and a ground-flat top so accurate valve adjustment can be achieved and maintained. The diameter of the jam nut is larger in order to spread the load over a larger area. All Comp Cams studs have generous radii and a black oxide finish.